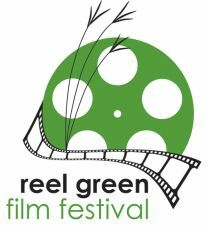 It’s that time of year again… our friends at the Manitoba Eco-Network will be presenting the Reel Green Film Festival February 3 and 4th at the WECC (Friday) and U of W (Saturday). The Manitoba Nature Summit Inc. will be hosting the film A Simple Question: The Story of Straw an inspiring film about “kids taking on the impossible”. STRAW stands for Students and Teachers Restoring A Watershed and tells the story of what happened in 1992 when Laurette Roger’s 4th grade class asked what they could do to help with the plight of the imperalled California Fresh Water Shrimp. There are loads of other films that look really interesting as well or you can stop by our table and learn more about the Nature Summit 2012. This entry was posted in Blog, Events, News, Summit 2012 and tagged A Simple Question: The Story of Straw, Manitoba Nature Summit Inc., nature education, nature summit, Reel Green Film Festival. Bookmark the permalink.